Welcome to SouthSide San Antonio! Living in SouthSide San Antonio is known for its rich heritage, friendly neighbors and convenient access to shopping and services at the city’s perimeter. Families raised on the SouthSide choose to stay here and raise the next generation, adding to the rich fabric of the area. 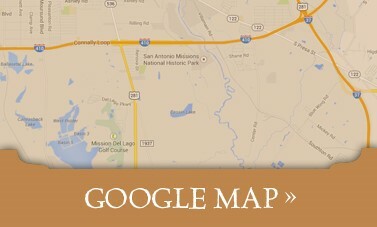 For nearly a decade, Mission del Lago has been the only master-planned community in SouthSide San Antonio. Here at Mission del Lago, SouthSide San Antonio new homes and neighbors come together to form a community that reflects the rich heritage, natural beauty and convenient location of the area. Today, Mission del Lago is an icon in SouthSide San Antonio – where families come together to grow, thrive and realize their dream of new home ownership. Mission del Lago features quiet streets of friendly neighbors, a picturesque 18-hole Alamo Golf Trail golf course, dynamic clubhouse and pools, playgrounds and parks, all just minutes to shopping and services. Mission del Lago builders include two of the nation’s most respected builders, Lennar and Express Homes by D.R. Horton, offering a range of home styles and sizes uniquely designed to meet varying tastes and budgets and priced from the $150s. Mission del Lago is the fastest-growing neighborhood in South San Antonio with more than 1,000 residents who appreciate the contrast of peaceful surroundings and great convenience, with a plan for sustained growth that will invite thousands more. Mission del Lago is close to bustling work centers with top employers at the San Antonio Toyota plant, the booming Brooks City Base, the new Texas A&M University campus, and Eagle Ford Shale-related companies such as Halliburton and Schlumberger. 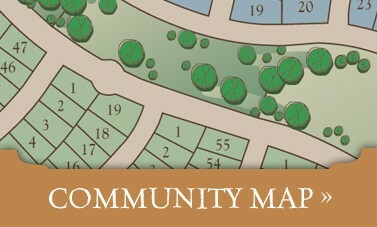 Ample opportunities for recreation, activity, enjoyment, and education are also close to home. The Mission del Lago Golf Course runs right through the center of the community, and the 17-mile Medina River Trail and Jim Mattox Park cater to active lifestyles. In addition, the Julian G. Gallardo Elementary School, a TEC “Recognized” school, is located within Mission del Lago. Uniquely convenient to everywhere you want to be and uniquely secluded from noise and congestion—it’s the best of both worlds for those who want to live, work, play, grow, and thrive in South San Antonio. And it’s all waiting for you at Mission del Lago.